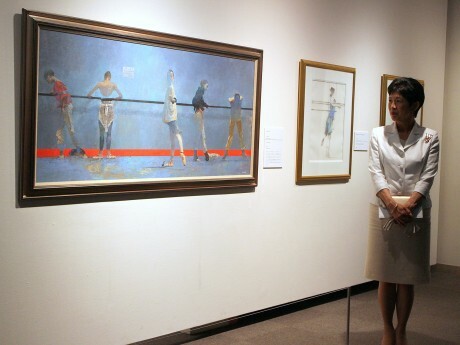 On 3rd July, HIH Princess Hisako of Takamado attended the opening ceremony of the Exhibition of Robert Heindel (1938-2005) took place in Yokohama City, Kanagawa Prefecture. This Exhibition shows the picture named “Wall” which Takamado Family owns. Late Prince Norihito of Takamado (1954-2002) loved ballet and had formed close relationships with Robert Heindel.